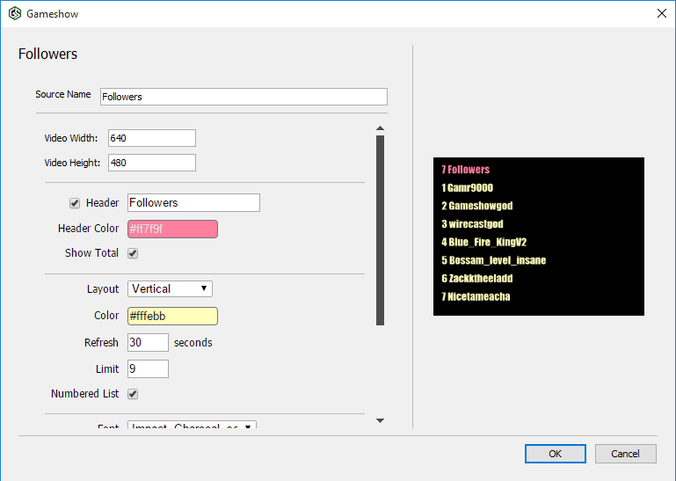 I use twitch alerts stream labels for my stream to keep track of followers and update the number automatically, is this not currently available in Gameshow? Also I have animated logo Gifs that rotate, however when I add them to Gameshow they appear as a static image. Do you support animated Gifs? You may also create slide shows from local and remote images, even those that are animated, by entering urls in the carousel widgets. 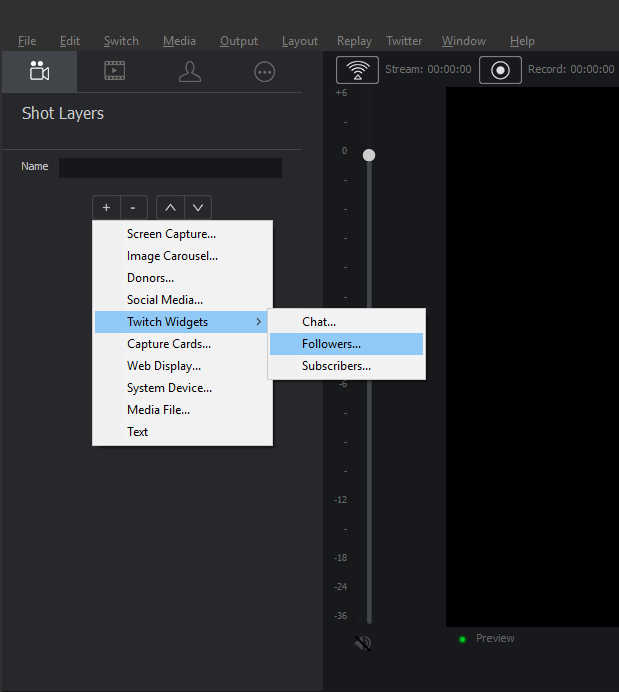 Thanks for the reply, I understand about Twitch Alerts notification popups but I am asking about the Stream Labels, you add them as a text file and then they auto update through Twitch Alerts when you get a new follower or what have you. We have native support for followers to keep track of the total number and show the most recent followers as they come in. Support for third party stream labels will be added shortly. Quite often I find that the font and other options don't work for me on the Windows version, I click the box and nothing happens. I will try and test this when I get back home. I recall it working just fine for me. Some fonts only have certain options available, however we still list all the possible options. If you open the font selector drop down, you will notice it has a option to choose webfont and specify a URL. If you go to https://www.google.com/fonts you can choose from any of goolge's webfonts. While browsing through these, you will also notice that the fonts do not always have the ability to select from all the options we provide. I will write up a bug to only list available options for the selected font.